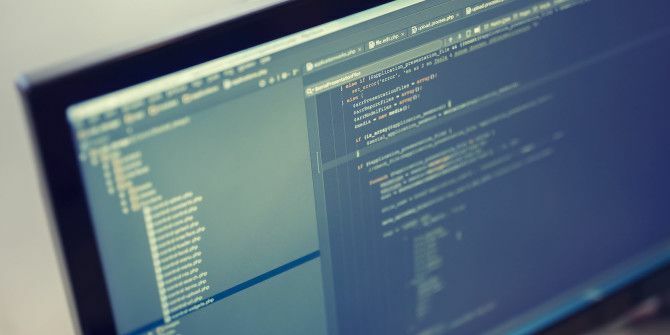 Programmers can be finnicky about everything, from the biggest to smallest of details: operating system, text editors and IDEs, light vs. dark themes, and perhaps most of all, which programming font is the best OTF vs. TTF Fonts: Which Is Better? What's the Difference? OTF vs. TTF Fonts: Which Is Better? What's the Difference? Most fonts these days are either OTF or TTF, but what does that mean? What are the differences? Should you even care? Read More . I know I’m not the only one who has wasted hours and hours in search of the perfect font, and with several new fonts coming out every year, it can be hard to know what’s out there. You can use Courier New or Monaco if you want, but those days are long gone. Which is where Programming Fonts comes into play. This wonderful site has over 50 different monospaced fonts for you to preview using a simple dropdown menu. You can change the preview text to whatever you want, you can change the font size, and you can even select from over 20 different color schemes. I guarantee that at least one of the fonts on this site will be new to you. Have you ever heard of BPmono? Iosevka? Quinze? Sudo? If you haven’t, this is the perfect way to compare them against crowd favorites like Hack, Input, Meslo, and Office Code Pro. A lot of these fonts are even available on Google Web Fonts How To Use Google Fonts In Your Next Web Project & Why You Should How To Use Google Fonts In Your Next Web Project & Why You Should Font choice is an integral design decision on any website, yet most of the time we're content with the same old serif and sans-serif family. While the main body of text should always be something... Read More , so you can use them for free on your websites if you so desire. Which programming font do you think is the best? Feel free to share your preferred programming languages and IDEs as well. Let us know in a comment below! Explore more about: Fonts, Programming. It is easy on the eyes and has a clear distinction between characters that are easily confused.